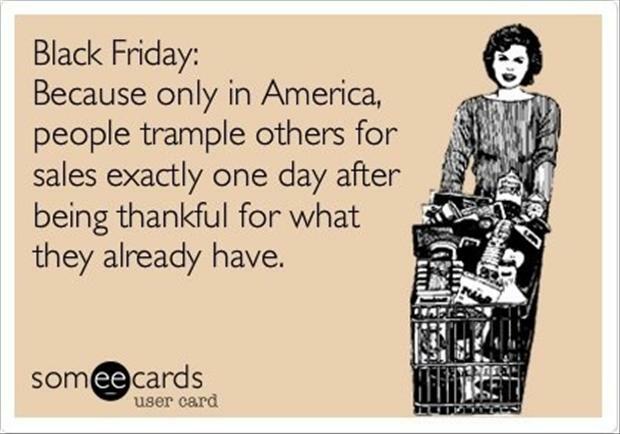 The biggest shopping day of the year is exactly one day after we proclaim to be most thankful for what we already have. The irony is thicker than mom’s gravy. Our Thanksgiving thankfulness seems cheaper than Black Friday’s cheapest deals. It’s like we can’t be done with giving thanks fast enough. And sadly, the story is nothing new. It’s a humanity problem as old as Adam and Eve. The commercials and the web ads and the glossy mailbox catalogs are just modern day apples that distract from what is really important. It’s hard to see the apple for what it is when you are in the midst of the story though. Isn’t it? So before you send your mother-in-law off to buy your family a new Vita-Mix, when you have a perfectly good working blender in your cabinet, put the latest Apple product (pun intended) on your want list, or set out for Best Buy and Toys R Us to make all your child’s Christmas dreams come true, I hope my own Black Friday story will have you giving a little thought to the kinds of things you want to fill your home with. In a few weeks we will bring our second child home from the hospital. For months I could be heard telling my husband (and my co-workers, and parents, and friends, and anyone who would listen), “If I have to bring this baby home to our one-bedroom apartment I am going to flip.” It had been the same old complaint for a long time. First the one-bedroom abode was perfect for us. It was an answer to prayer. It has cathedral ceilings, is surrounded by gardens and groves, and you have to cross a little bridge over a creek to get to our door. Then, after a while, our home became not enough. It was only one-bedroom. 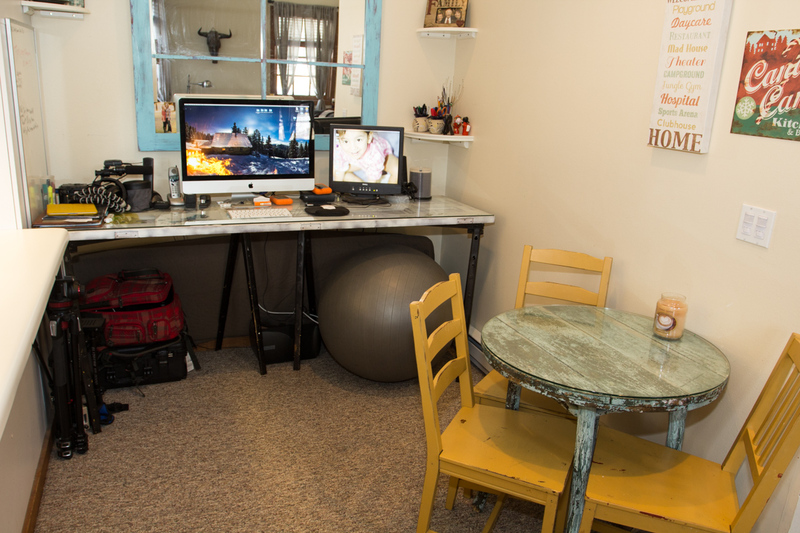 My husband needed an office. Our guests needed a guest-room. When 18-month-old Little A came to live with us the one-bedroom was really not enough. Where would we put our daughter? Now we have a newborn about to join the mix and here we still are, in our one-bedroom place, with me pulling my hair out. 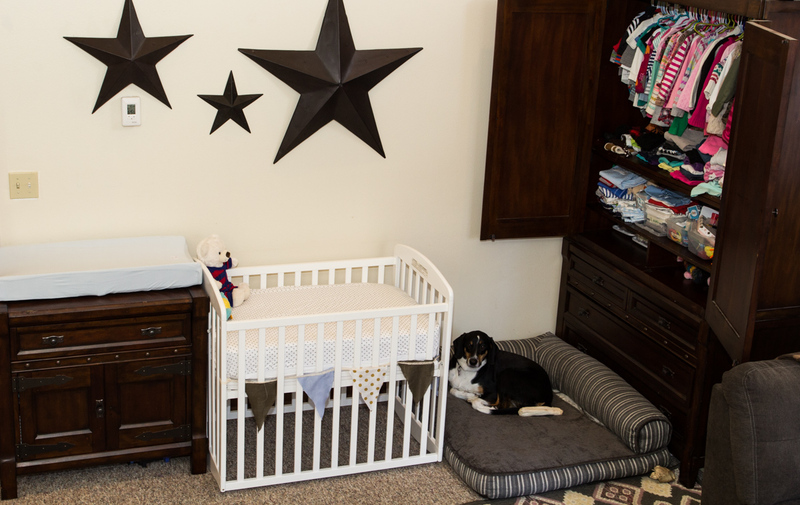 The baby’s nursery, the dog’s room, and Little A and baby’s closet all tucked onto a wall in the Living Room. I mean, what’s a “Living Room” if you’re not “living” in it? It is simple math. 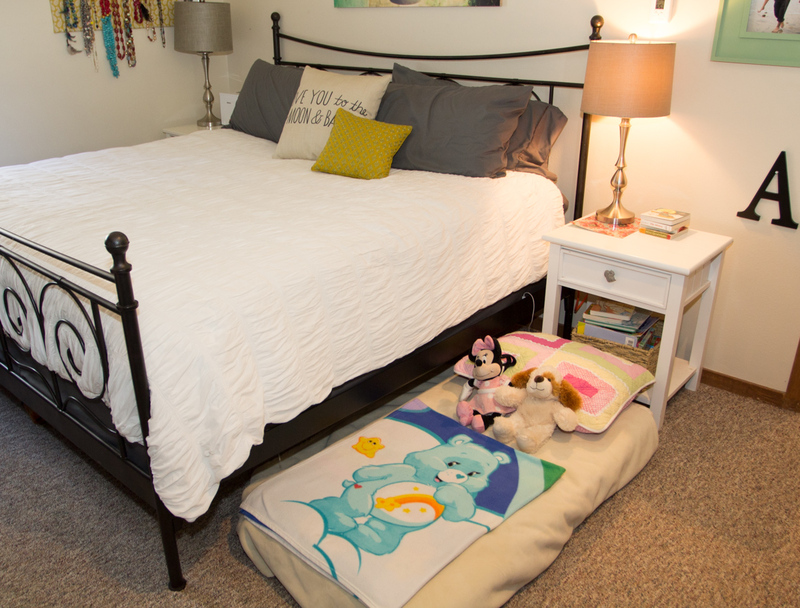 Two adults + two kids + one dog does not = one-bedroom. This was not going to do. This was just NOT ENOUGH. For two years I’ve been praying hard and complaining harder for something more. I’ve asked others to pray hard for us too. Surely God would provide. He was no idiot. He had to know. We needed MORE. Can you sense where this story is headed? God knew what we needed all right. He knew momma needed a new attitude. He knew momma needed to sit down at the Thanksgiving table and stew in some thankfulness for a while. He knew momma needed to get rid of her Black Friday heart. And this momma has come to learn that a Black Friday heart is the kind of heart only our good God can get rid of. You guys, after two years of me praying for a new house and asking others to pray too, one morning I woke up and none of my prayers were answered. But. Everything was different. I woke up and my glass was not just half full. It was over-freaking-flowing. I suddenly began to see our “predicament” and my “problem” as our “adventure” and something “fun.” I suddenly began to see this part of life as I should have seen it all along. 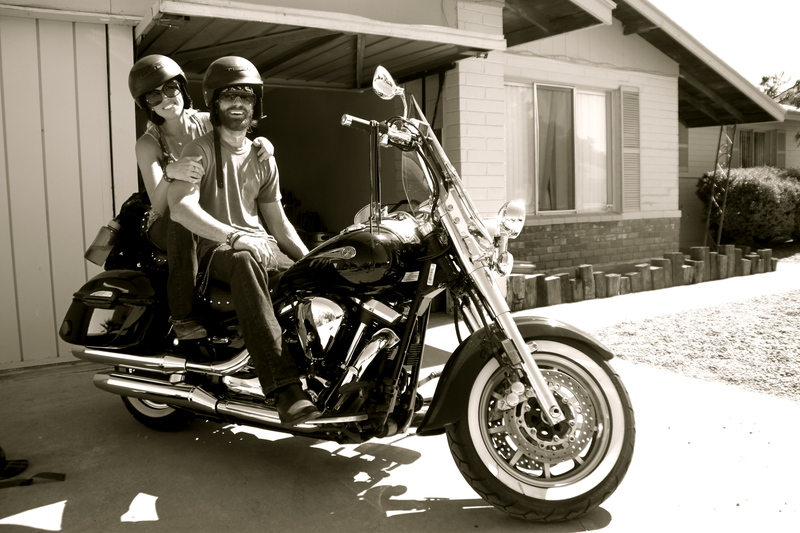 I woke up remembering how the best time of my life so far was when my husband and I spent 4 months together with one backpack on one motorcycle. We had nothing but each other and adventure and a $12 / day food budget. It was awesome. Me, my love, and the open road. The year was 2010. Add a dog and a few little people to the mix and should I choose to see it this way, we are kind of on the same bike now. We don’t have much, we are snuggled up close, and life is still a big adventure. I did not need a new house. I needed a fresh perspective. Sooo thankful for these two! 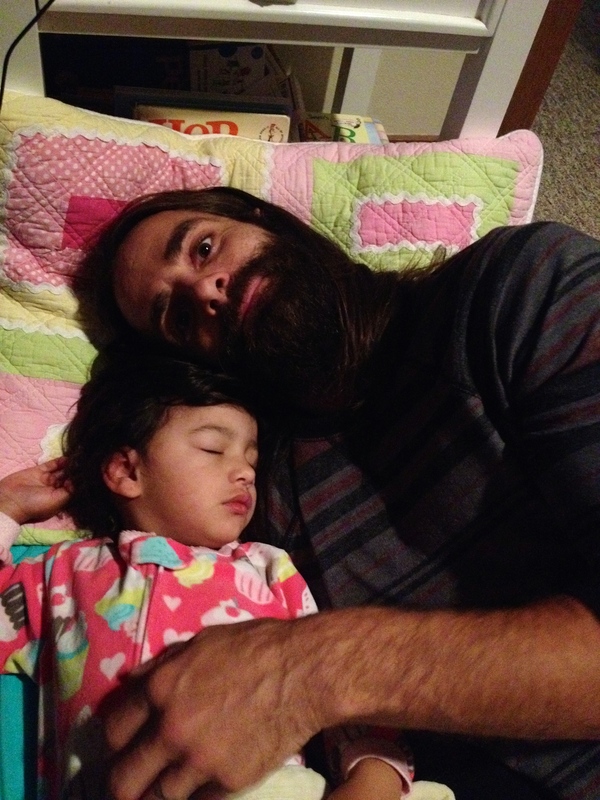 Little A and Papa. Snuggled up close. Living in this space we are not able to give our children very many things. Things don’t fit in our home. Thankfulness. Joy. Kindness. Appreciation. Love. Adventure. Patience. Fun. These things are FREE. And they are so good. And we don’t need to buy a bigger or fancier house for them. Pretty cool how for the important stuff, there is always enough room, don’t you think? If you too are missing out on an “adventure” because of a Black Friday heart, I hope my story will help you reconsider your perspective. I also hope that this Black Friday we will all remember to cherry pick only the very best deals, keeping in mind that the best things in life are free. This holiday, let’s fill our homes with the stuff that matters. P.S. I will let you know how this family-of-four-in-a-one-bedroom-adventure turns out. Wawho! Doing projects at the dining room turned art table. More art. This time in baby boy’s “room.” We needed to mix up the surroundings to inspire creativity, ya know.